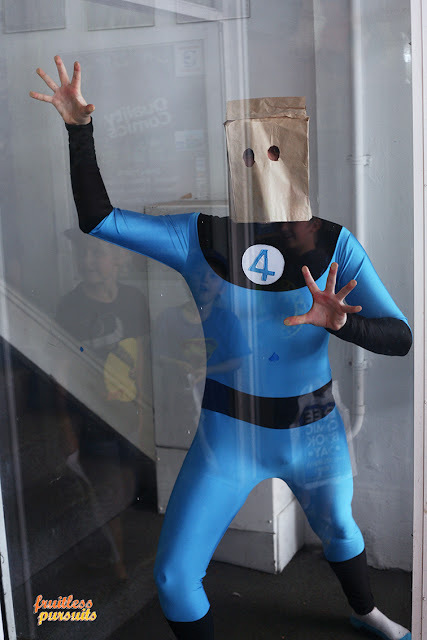 Fruitless Pursuits: Gallery: Free Comic Book Day 2013 at Quality Comics! 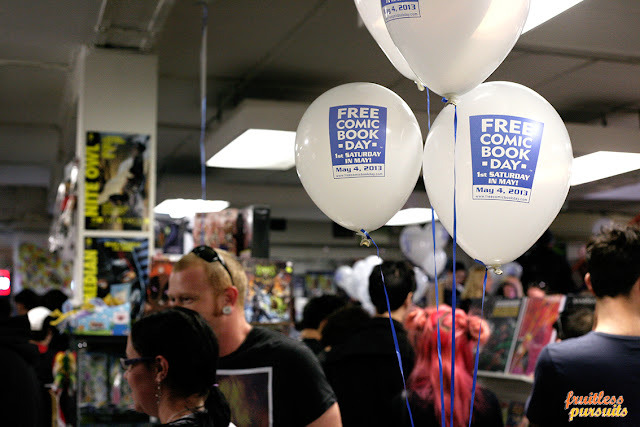 Gallery: Free Comic Book Day 2013 at Quality Comics! Holy crap, you guys, it's Free Comic Book Day 2013 and, as promised, a lot of things are going on. 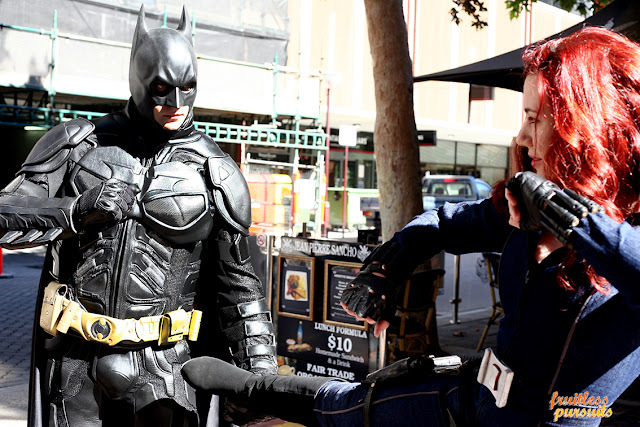 Perth, Western Australia may be the most isolated capital city in the world, but that doesn't mean that Batman won't show up if he gets the call. Yes. We are now friends with Batman. 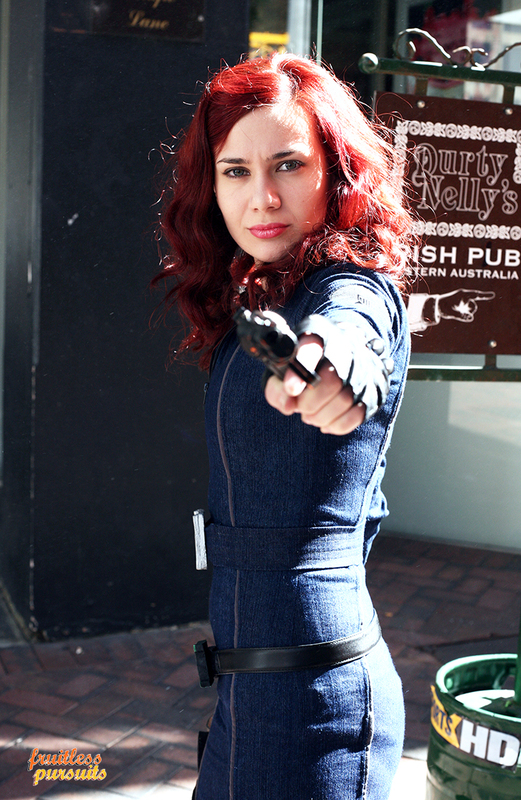 (You may also recognise Black Widow as our friend Courtney who joined me recently on The Book Was Better podcast). 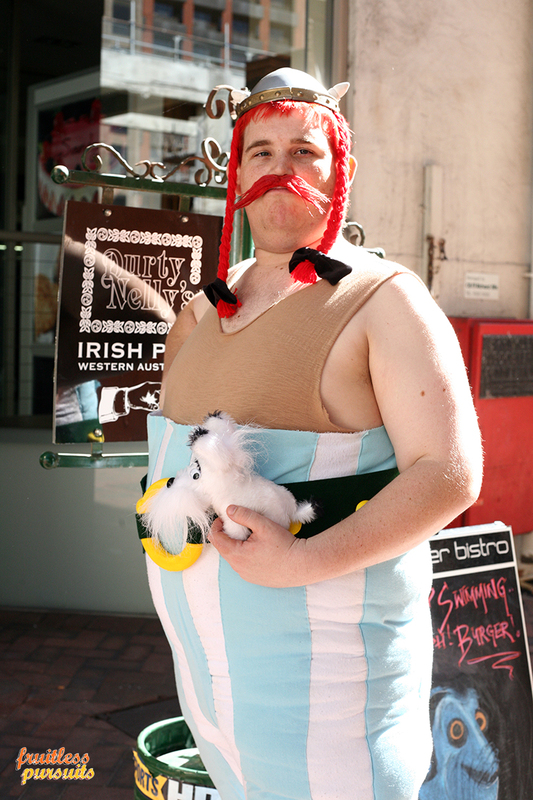 And there were plenty of other characters out in force to celebrate with our other friends at Quality Comics. Short version: Everyone is our friend. If you'd like to see a lot more pictures of the awesomeness celebrating sequential art today then please join me... after the jump! 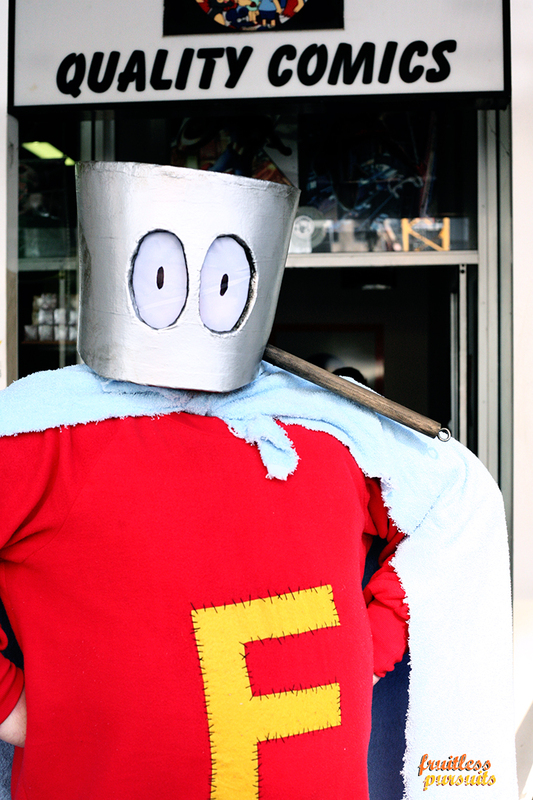 And what better ambassador to welcome us to the store than Marvel's saucepan wearing Forbush Man! Easily the longest line I've seen form for one of these events, and a broad demographic too, which is always a good thing. Go Team Comics! Today was a win. And Quality was absolutely PACKED. Shoulder to shoulder packed. And not just with people taking advantage of the freebies either. Many customers were taking the opportunity to actually purchase stuff too. Lots of stuff. We waited in the buying line for a long, long time. (We picked up The Art of Iron Man 3, so look out for a review of that soon). We called back in about three hours later and it was no different. A steady crowd all day. After my recommendation I was also looking to buy Judge Dredd: The Complete Brian Bolland, but it sold out in that time. If this buying frenzy continues then by closing time today Quality is going to have nothing but empty shelves and tumbleweeds. And a wolf howling. But let's go back to our costumed friends. Who else made the trip? 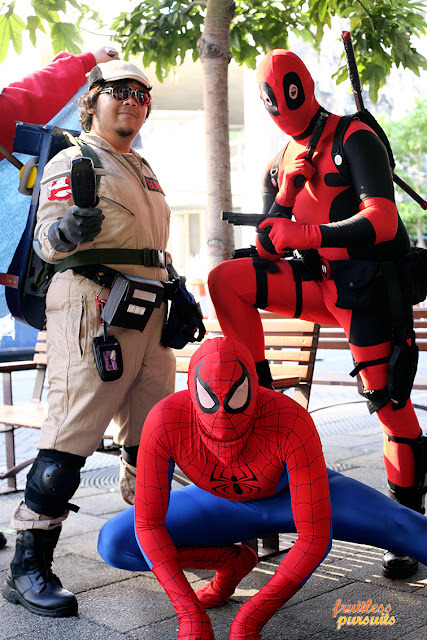 It's a Ghostbuster, Spider-Man, and Rob Liefeld's Spider-Man: Deadpool! I heard Robb created Deadpool one evening when he couldn't be bothered drawing all the webbing. Months after everybody else, Iron Man 3 has finally hit America. (Bulgaria got it before you, America? Why drag your feet on this one?). 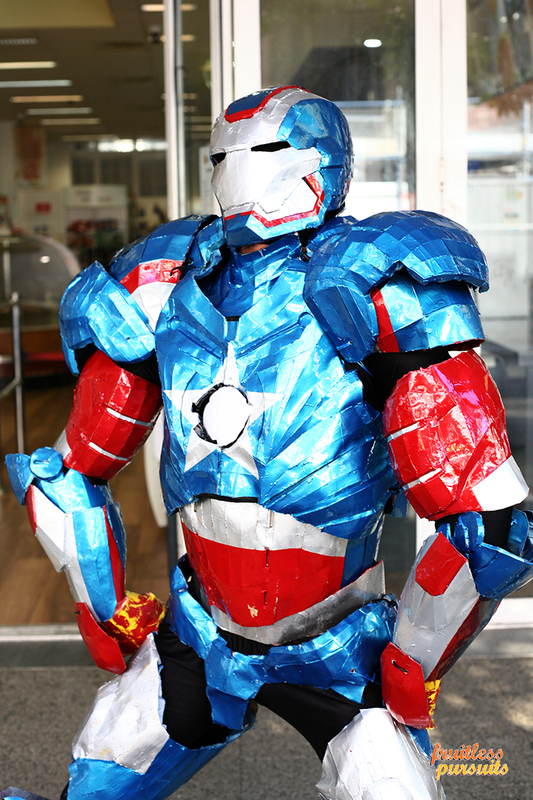 To celebrate, the most patriotic Iron Man of all, Iron Patriot, swung by on the back of a (crying) bald eagle. NEVER FORGET D.I.Y. IRON MAN! But you don't get a group of (competing) comics characters together without them eventually trying to beat the crap out of each other. Widow tried to kick Batman into a passing car but he luckily had quick reflexes. He had to chill for a while afterwards though. Did you have a fun Free Comic Book Day? Did you get everything you wanted? What happened? What was your favourite. No! Don't you turn away from me when I'm asking you something! Hey! HEY! You've got a lot of nerve, mister. 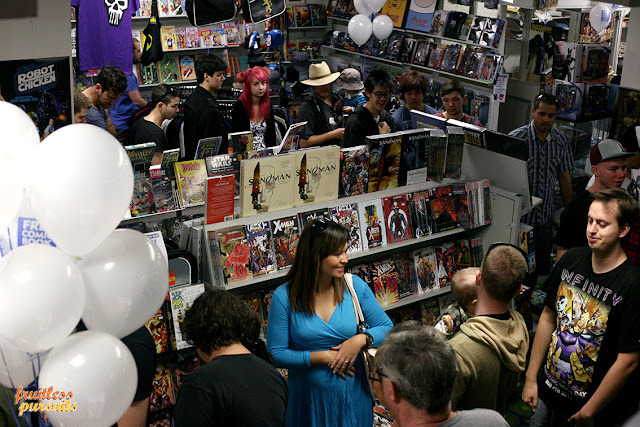 Huge thanks to Quality Comics for all their support and for doing such a great job at raising awareness. 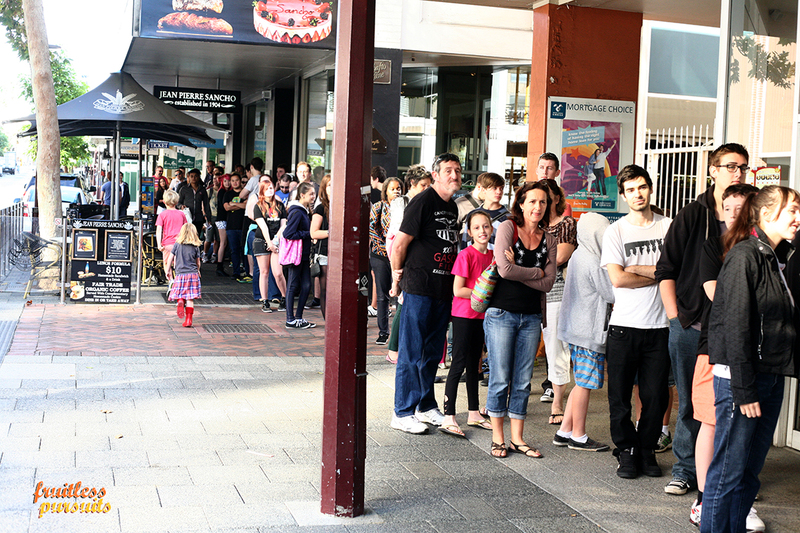 Easily the biggest FCBD yet. Thanks everyone! Hey guys. 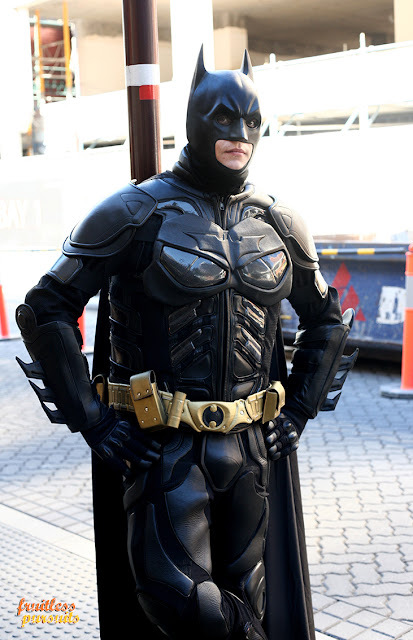 I am the Batman in your photos. I think you guys did a phenomenal job on the photos and it was great to meet you face to face finally. Would you mind me posting these over to my Facebook Page. 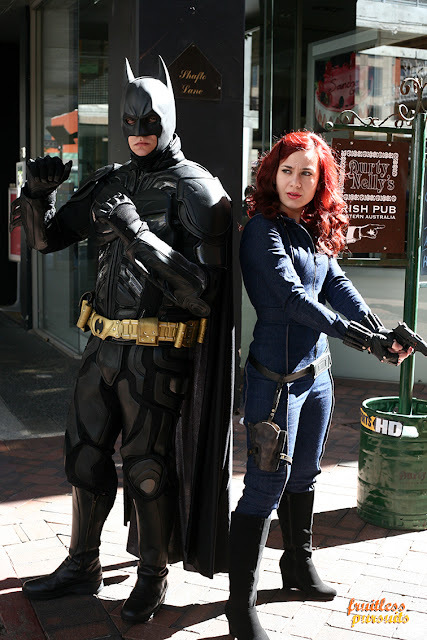 Also, if you dont mind and would be fine with sharing it somewhere, my page is www.facebook.com/DarkKnightDownUnder Thanks again! Thanks, Batman! Good to meet you! Your page was already linked in the article! It's the link in the first paragraph. Fantastic pics - Love them! I would have loved to be more photogenic for you today, but then my kind of unofficial photographer Peter Parker would be out of a job pretty quickly. Can't wait for the next time our paths cross, but until then: Avengers Assemble! Anyhow, I'll see you next time hopefully! No problem at all! If you can link to us it would be super appreciated though. We're dedicated to covering our local events and it would be great if more people knew we existed! Thanks! Ah I see, missed it because the linking text is black not blue. Cool, thanks for your phenomenal photos. 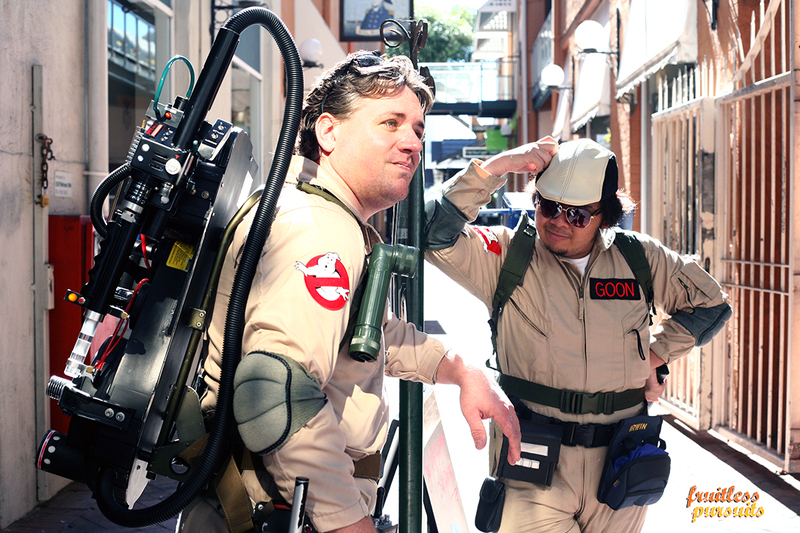 I hope to see you guys again soon, maybe at Supanova? Hells yeah! Thanks for the awesome shots of us Ghostbusters!